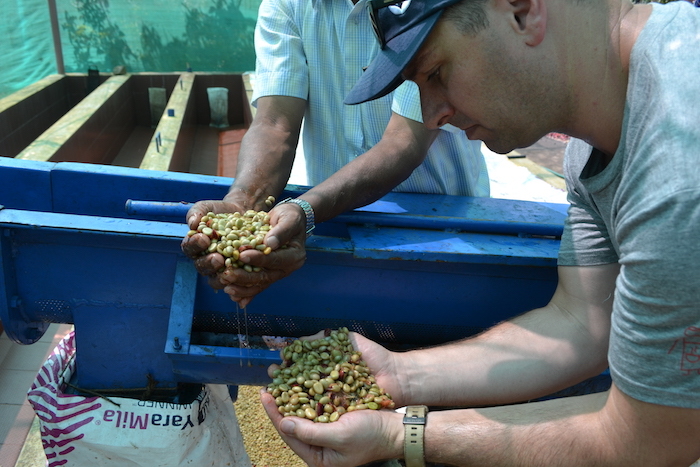 Our Operations Manager James Tolan recently experienced his first trip to Origin. He spent five days visiting the farms where we source our beans from, including Sethuraman Estate of which goes into to our Fiend Blend. We spent most of today exploring the city in Bangalore. My colleague Lance has done this trip several times before and insisted on us getting a coffee from an Indian Franchise chain called Cafe Coffee Day as part of our initiation into our first origin trip to India. Cafe Coffee Day currently has around 1500 outlets throughout India as well as several international stores. Each store had more staff than customers but unfortunately that didn’t make their coffee any better. It was woeful at best, however I was pleasantly surprised with the slight resemblance of latte art. We were picked up by our drivers in the morning to begin the journey towards our accommodation closer to the farms, a town approximately 250km west of Bangalore called Chikmagalur. Our accommodation is an old planters estate called the “Kadur Club” established back when the British owned most of the farms in the area. The club is over 150 years old and was full of amazing history. This will be our base for the next two nights. 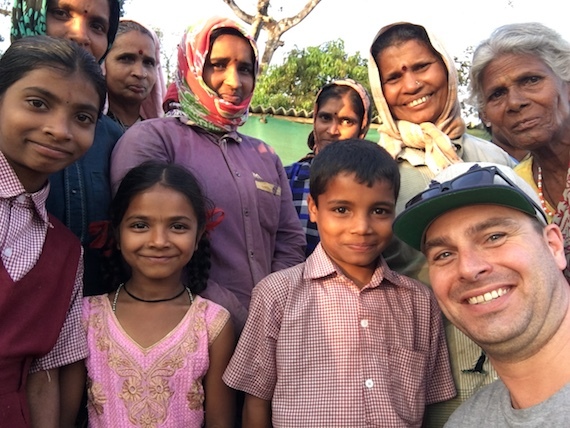 We meet Nishant Gurjer, 6th generation coffee farmer and owner of Sethuraman Estate Coffee. We have been purchasing coffee from Nishant for many years as he is widely considered the best Robusta farmer in the world. We meet Nishant’s business partner and close confidant, ‘Bops’ who will also accompany us over the next few days. The farm is another 1 1/2 hour drive from Chikmagalur, so we will make our way up first thing in the morning. After breakfast, we begin the drive to Sethuraman Estate. 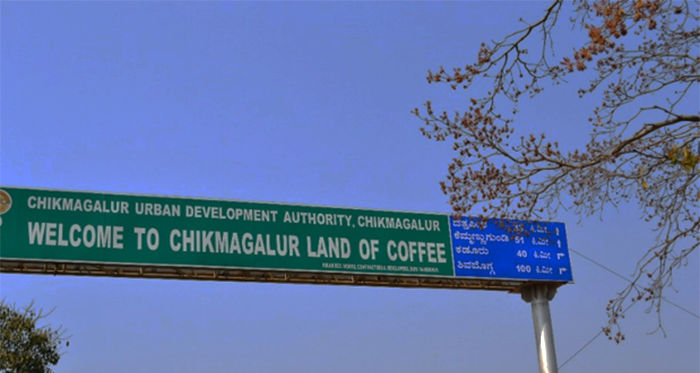 Driving through Chikmagalur, the town is thriving and it’s obvious that coffee is the main source of income for this micro economy. It’s not long a travel out of town before our first glimpse of coffee, in fact, it doesn’t stop for the whole drive. 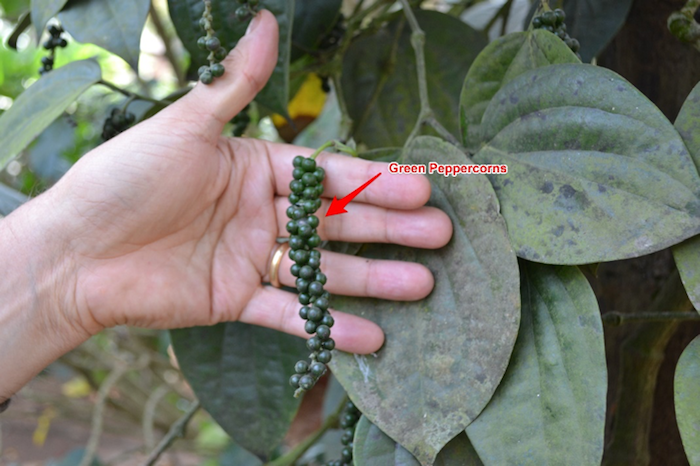 Most farms also seem to grow several other crops that compliment the coffee including pepper and a local commodity called ‘Beetle Nut’. Upon arriving at the farm, we are greeted at the house that Nishant spent many weekends and holidays as a child. The farm is approximately 600 acres and one of the largest in this coffee growing hotspot. Nishant explains that the farm grows predominantly Robusta over Arabica as it’s much easier to achieve high quality in the slightly cooler climate. A lot of other farmers grow arabica in the area but it’s not as widely known as South American and African regions for its quality. On our way up to the drying patios, we stop at an old shed. Here Nishant unvails “grandmothers recipe”. It is a concoction of all sorts including cow urine and many other unpleasantries. The smell is nothing I could describe. It is stored in large barrels and needs to be stirred regularly. This has been used as a natural fertiliser and pest control on the farm for decades, and Nishant swears by it. Continuing on our walk, we see trees in full blossom. We have arrived at the tail end of harvest. Most of the farm is receiving it’s third run of picking and many trees have now shed all cherries and are in blossom for next season’s crop. Nishant draws us in close to observe a blossom, showing us the sprouts that will develop over the coming year. He also calls reference to the pollen on the blossom and explains the importance natural fauna, like bees, play in the sustainability of his farm. Upon reaching the drying patios, the feeling is amazing as I forge a new found appreciation for a product I have been working with for the majority of my career. 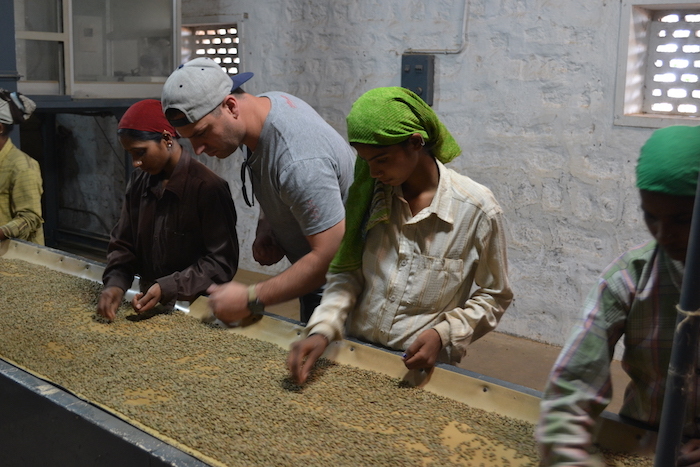 On the patios, Nishant has both natural processed coffee and parchment (washed) coffee drying. Whilst most of what Nishant produces and exports is specialty-grade Robusta (cupping scores over 80) he does have some commercial grade coffee here which is great to use as a quality comparison. 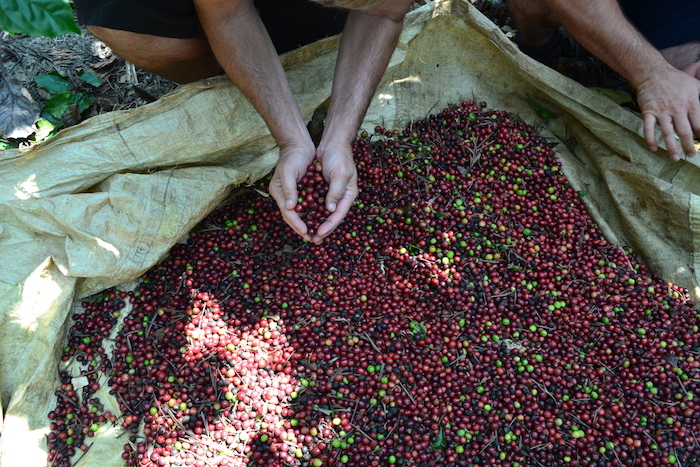 There are many workers up on the patios, including several men raking the beds and a group of woman hand-sorting through large piles of coffee cherries. We take our time to meet with some of them, observe their process and hold and inspect the coffee. Further up the hill, we see how the start of a washed coffee process begins. We find pickers emptying their harvest into a giant concrete tank that angles down into a small hole in the corner and this begins the first stage of sorting. 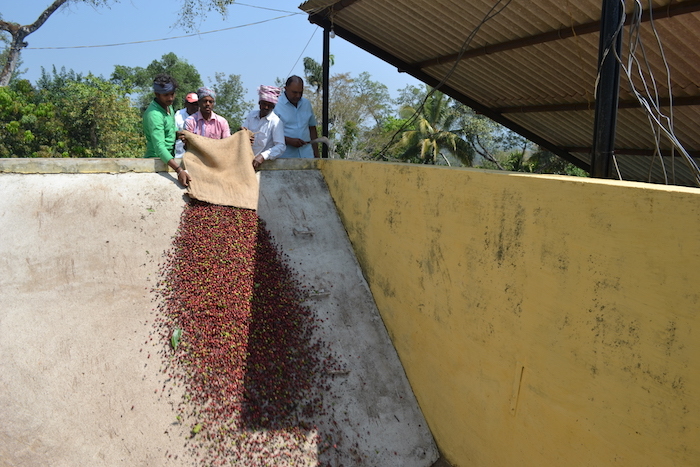 From here, coffee runs along a conveyor which separates out cherries not suitable for specialty and removes a large portion of debris from picking (leaves, sticks etc). The washed coffee then goes through a depulper. This is a machine that has two rollers, where the cherries pass through and seeds are ‘popped’ out of the fruit. The coffee is then placed in large water tanks and left to ferment. The mucilage, composed of natural sugars, plays a crucial role in developing the overall flavour of the coffee. Once we finish reviewing the various stages of the coffee processing, we make our way to the fields to meet the pickers who are conducting their third and final pass over the trees for this season’s harvest. The best of the bunch is generally picked in the first and second passes. This gives me an opportunity to get in and work alongside the pickers. They lay large sections of tarpaulin under the trees and begin stripping the cherries from the base of each branch up to the stem. The cherries drop into the tarp and are transferred into hessian sacks to be weighed and processed. It was interesting to learn that every 1kg of roasted coffee takes approximately 6kg of cherry to produce! This morning we are heading to the Badra dry mill facility, where Nishant transports most of his coffee for the final steps of processing. It is here we see a variety of different processes of turning both natural processed coffees and washed and/or honey processed, as they go through their final stages of preparation ready for export as the green coffee we know. There are several industrial mills that handle both de-husking of parchment as well as sorting the green into size and quality requirements. After observing two separate rounds of hand sorting, I gain a new-found appreciation of the meticulous efforts of these coffee farmers. The first round showed coffee being fed on a conveyer belt where workers pick out any final defective green beans. My colleagues and I took our turns working the line and unsurprisingly, the workers were twice as fast and twice as accurate as us! From here, we made our way to the final room at Badra to see the second and final stage of sorting. Ladies sit on the floor, sweeping coffee from piles between the light and dark surfaces to identify any remaining defects. This room created a very emotional connection for me. When you consider that most coffee consumers (and baristas), don’t have a clue where their coffee comes from, let alone the level of intrinsic detail that goes into producing the coffee, it created one of the most appreciative moments of my hospitality/coffee career. After leaving the dry mill, we make our way back to the farm to partake in a ceremony to thank the farm workers for all of their hard work this season. 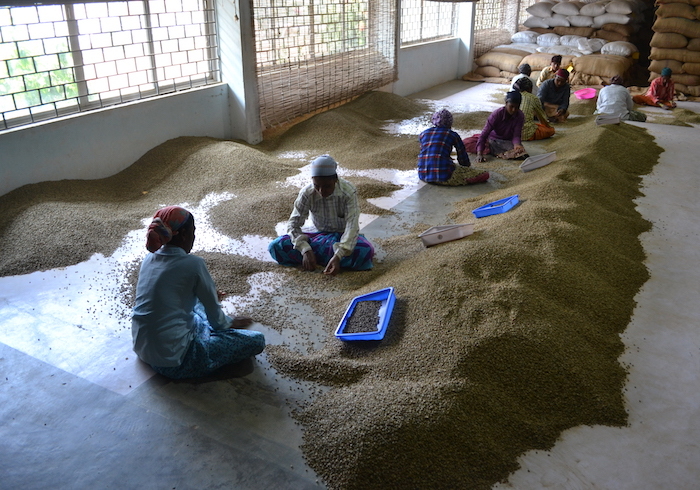 We walk to the top of the drying beds and see the farmers coming in with their crops for the day. As we had seen the day before, they were weighing our their bags of cherry which determines their pay ($ per kilo). As the sun starts to set, two very large pots filled with a traditional Indian dessert are pulled out and we hand bowls of it out to workers and their children to thank them for the season’s crop. We sit and eat with them too. 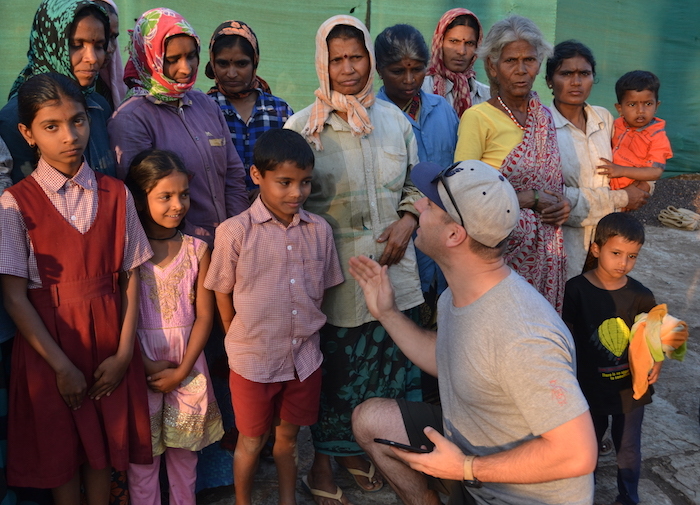 This was a very humbling and emotional experience and an amazing way to finish off our visit to Sethuraman Estate. As we say goodbye, I can’t help but feel pretty overwhelmed at the whole experience.